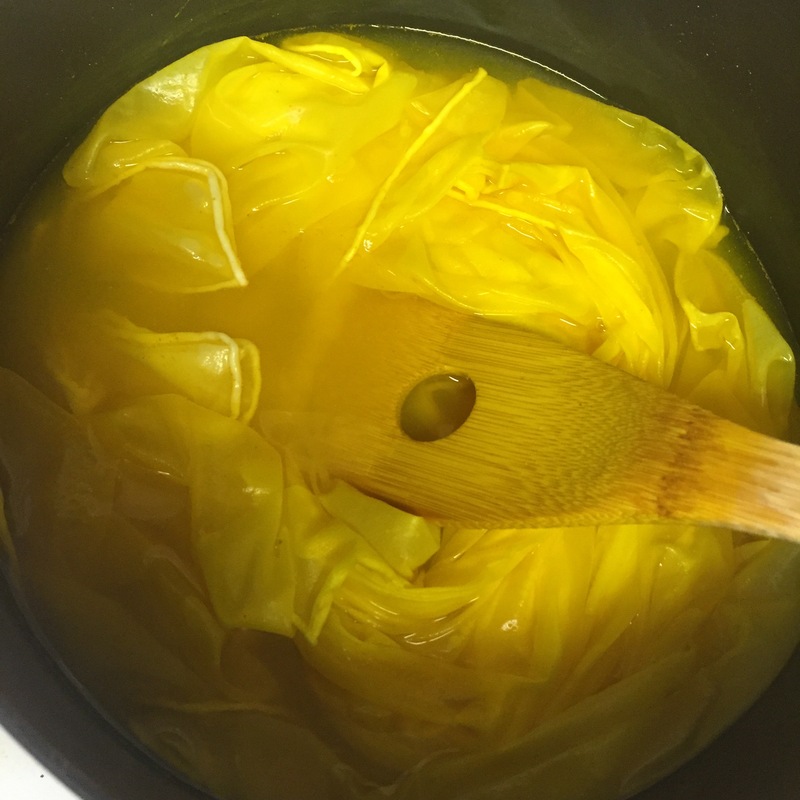 Making turmeric dyed playsilks was possibly the easiest craft I’ve ever done. I purchased the silk from Dharma Trading Company in multiple sizes. I bought 8mm habatoi after doing a little research and am really happy with that choice. 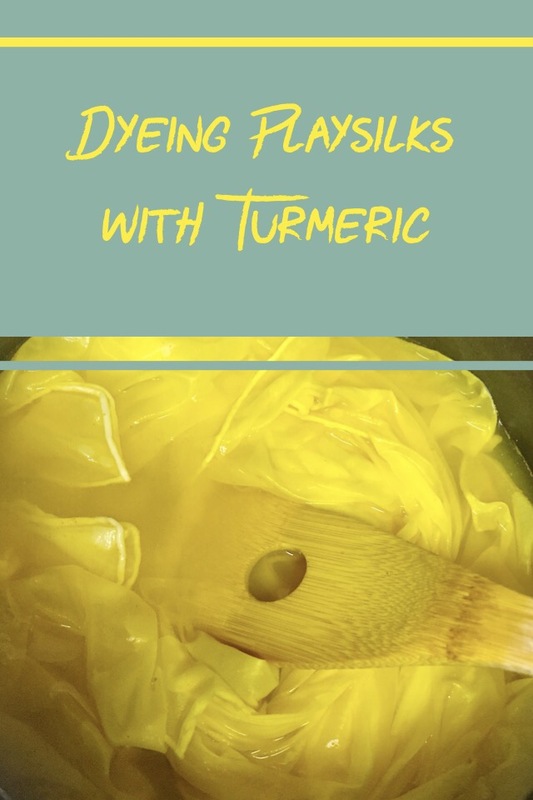 Once the silks were in hand, I used up a bottle of turmeric that was past its sell by date. I added turmeric to water to our spaghetti pot until the water was a warm yellow and no more turmeric would dissolve. I probably didn’t need so much turmeric but I wanted a vibrant color. I let them sit in the pot of near boiling water for 15 minutes and then rinsed them in cold water until it ran clear. I hung them to dry and then they were ready to play with. 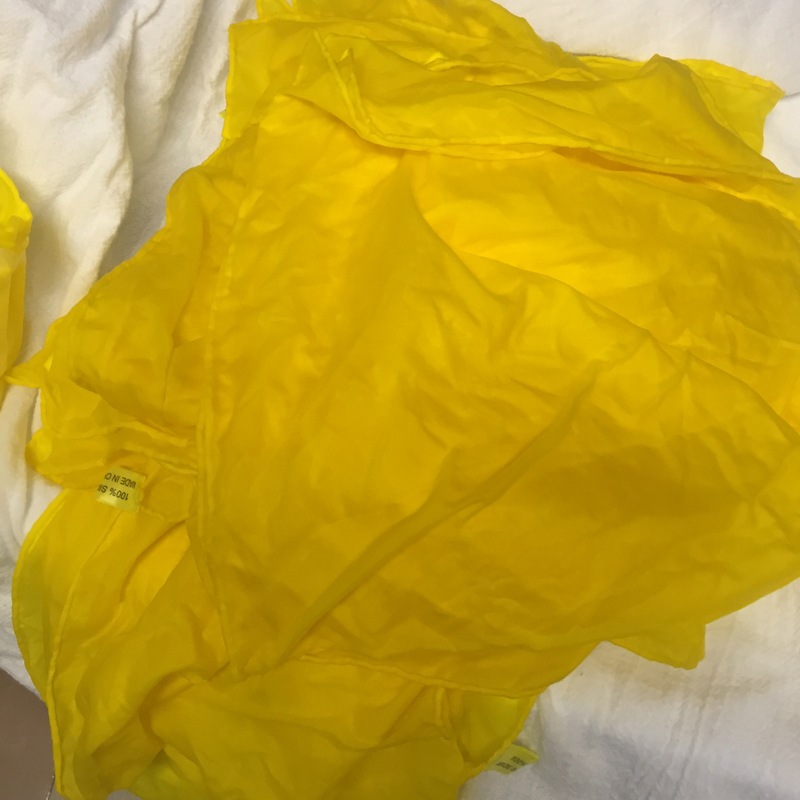 I got a very vibrant yellow. While it will fade over time and especially in sunlight, turmeric produces such a bright and sunny yellow that it just makes you smile! Plus, it smells great, too.